Not to be confused with the older Sonic fan game (Sonic Frenzy Adventure), Sonic Frenzy is a hack for Sonic 2 on the Master System. Despite just being a demo, this is a pretty hefty release, featuring four zones, including an 8-bit rendition of Sonic CD’s Stardust Speedway Zone. In general, this seems to pull the Master System version of Sonic 2 a little closer to its Sega Genesis counterpart, with casinos, emerald beaches, and chemical processing factories to run around in while still retaining its own sense of personal style. 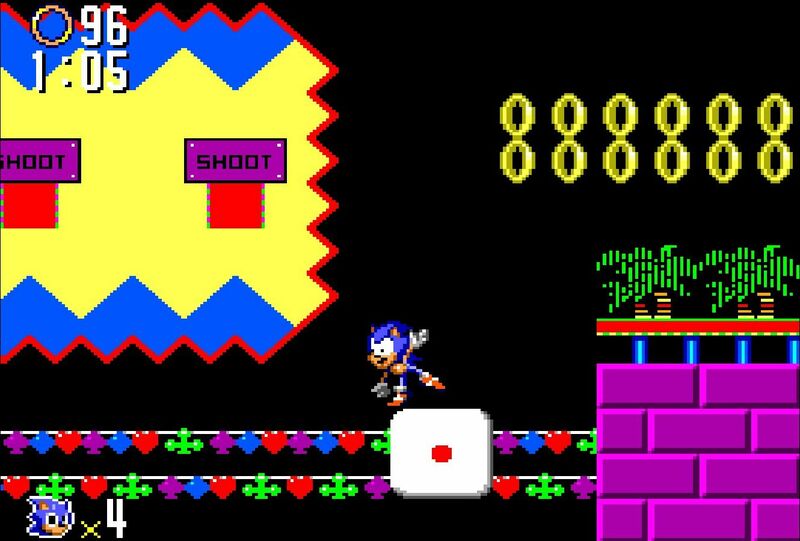 Level design seems to be about on par with the real 8-bit version of Sonic 2, so give it a shot. 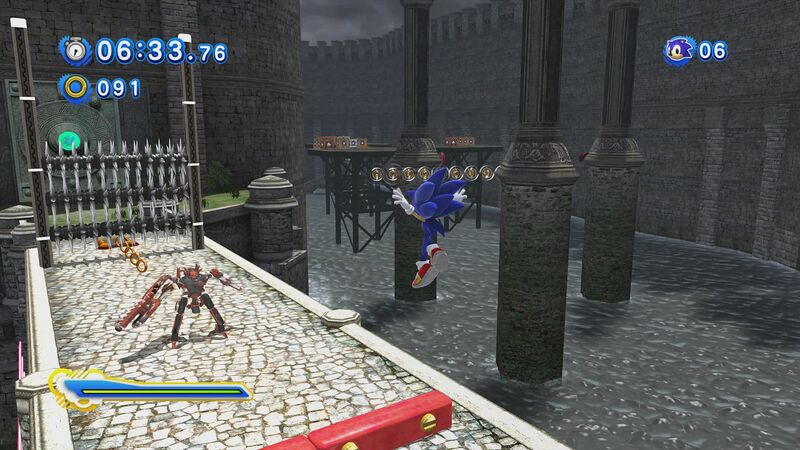 This is a big mod that’s been in the works on and off pretty much since the inception of Sonic Generations modding. Brianuuu has always been at the forefront of trying to get Sonic Generations to do things it wasn’t really designed to do, pushing the limits of what’s possible in SonicGMI almost to their breaking points. That’s still true, given the massive wall of text included with this mod regarding installation instructions, known bugs, and even a soliloquy about level design procedure. This seems to be a total refresh compared to past versions of the project, but my issue has always been this mod doesn’t want you to play Sonic Generations like Sonic Generations; it wants you to play it like Sonic 06. Except that, obviously, this is still Sonic Generations, creating a lot of moments where the pieces don’t line up at all. This new demo tries to get around that by scripting your movement a lot more heavily, essentially locking you in to side scrolling controls during 3D segments in order to make sure you don’t kill yourself by running too fast off of a narrow platform. It works, I guess, but it’s a heavy-handed solution. Though not quite as all-encompassing as the Aquarium Park mod, this is a fairly faithful port of Sweet Mountain Act 2 to Sonic Generations. Particularly clever is the way JoeyLaw handles the missing Wisp abilities — instead of the Hover Wisp, those sections have been replaced with ziplines. There’s honestly not much else to say besides that. This looks, sounds, and plays almost exactly like Sweet Mountain Act 2 should. Provides an interesting contrast between things that are easy to port to Sonic Generations after STH2006 Project Demo 4, I guess. Sonic Heroes isn’t a very pretty game. It was Sonic Team’s first proper cross-platform release after the death of the Dreamcast, so some growing pains there are to be expected. The biggest issue, I think, is just how ugly the character models are. 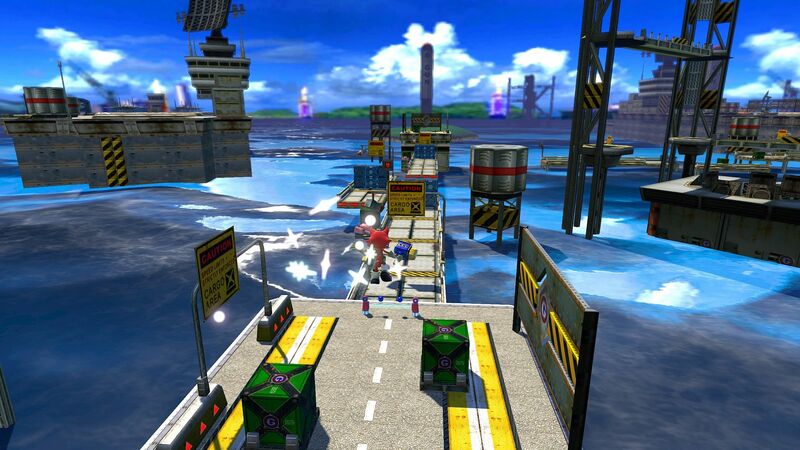 Sonic Adventure and Sonic Adventure 2 gave characters proper texture, making them look like more than just flat-shaded polygons. Sonic Heroes leans in to the flat look, giving all of its characters a simplistic, rubbery appearance that makes the game look way more dated. 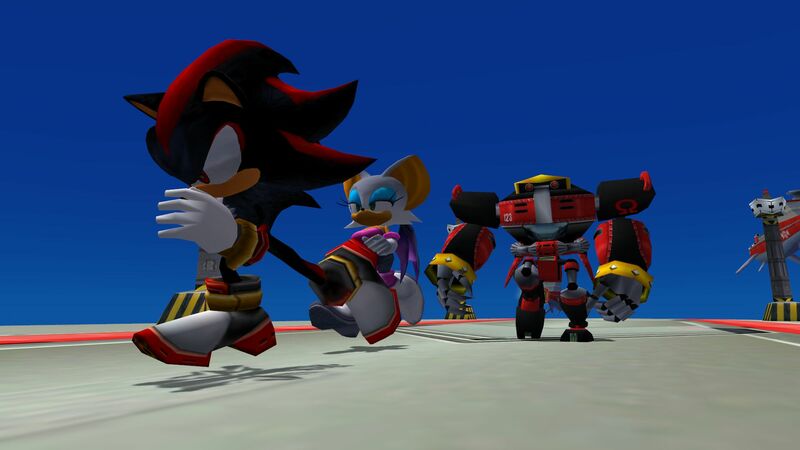 This mod, for the PC version of Sonic Heroes, fixes that, porting Shadow and Rouge’s models from Sonic Adventure 2 forward in to Sonic Heroes, while also giving Omega an appropriately SA2 overhaul to match. The results are quite striking, instantly improving the game’s look. Several skin options also seem to be included, if you’d rather run around in the group’s other costumes from SA2’s multiplayer mode. Hopefully the other teams will get similar makeovers in the future. Falling somewhere between Sweet Mountain Act 2 (as seen earlier in this article) and Aquarium Park (seen in Round-up #1) is Tropical Resort ReBoosted. 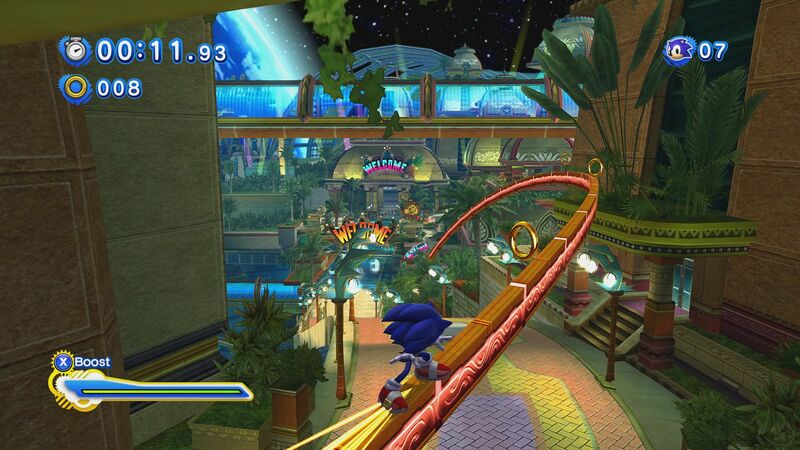 This combines two different acts of Tropical Resort together, and unlike past ports of Tropical Resort, this one has all of the proper lighting, as well as clever solutions to Sonic Generations not having all of the wisp powers from Sonic Colors. Much like Sweet Mountain, this looks, sounds, and plays almost exactly like Tropical Resort should, though the bridge between the two acts (a metal grate you must smash through) isn’t as clearly readable as I’d personally like. It was a background element originally, and the game developer part of my brain worries some people might not know you could break through it. Still, though, it’s a minor nitpick. Give it a shot. Here’s a clever little mod for Sonic Forces that ports over Weapons Bed from Sonic Adventure 2. 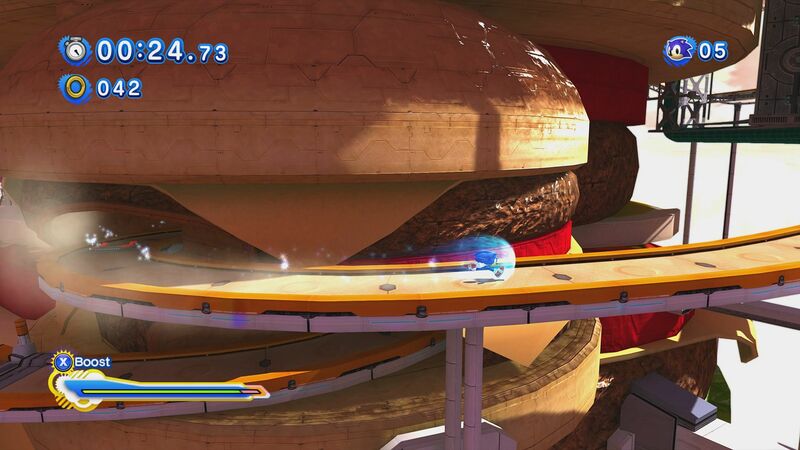 Given the weird way Sonic Forces plays, particularly the Avatar, an Eggman stage like this ends up working out pretty well, and the porting job is nice and polished, looking almost like an official Sonic Forces level. My favorite detail here, though, is how the mod harvests cutscene audio from the Dark campaign and retrofits it as in-stage radio chatter, just like a real Sonic Forces level would have. Pretty cool! Despite being called the Sonic Hacking Contest, the number of hacks for the Sega Genesis Sonic games appears to be shrinking in favor of more modern games like Sonic Forces and Sonic Generations. 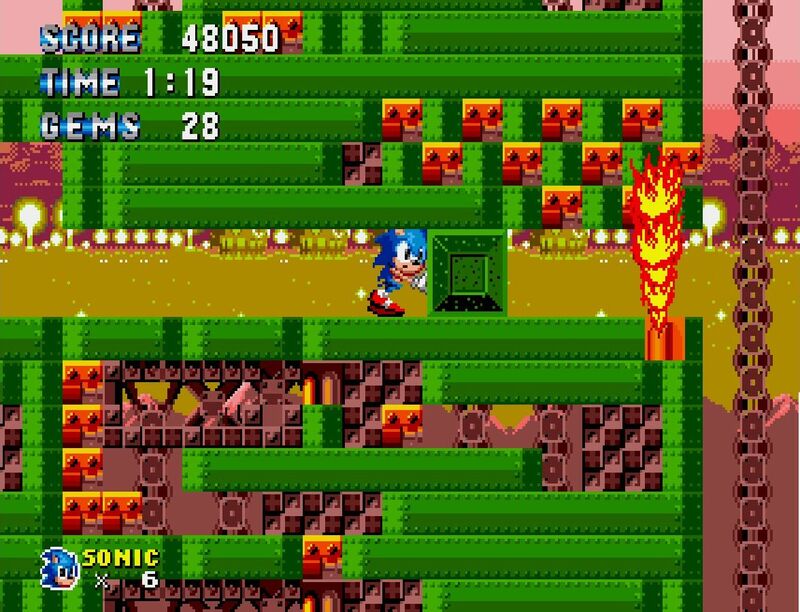 Cronos is one of the rare ROM hacks this year, and it modifies Sonic 1 to include new graphics, new levels, and new mechanics. It’s an interesting take, replacing rings with gems and monitors with treasure chests. In practice, it’s a little rough around the edges. Not all the graphics mesh super well, the drop dash doesn’t seem to work quite right, the music is too simple, and some of the level design is kind of suspicious. But it’s still early yet.